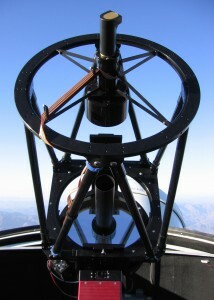 One of Skynet’s 16-inch diameter PROMPT telescopes at Cerro Tololo Inter-American Observatory in the Chilean Andes. There has been a lot of interest in our first course, Astronomy with Skynet: Our Place In Space!. Here are some frequently asked questions, and answers! 1. Who are these courses open to? They are open to everyone everywhere. People have signed up from all over the world. 2. Do I get to use Skynet’s telescopes myself? 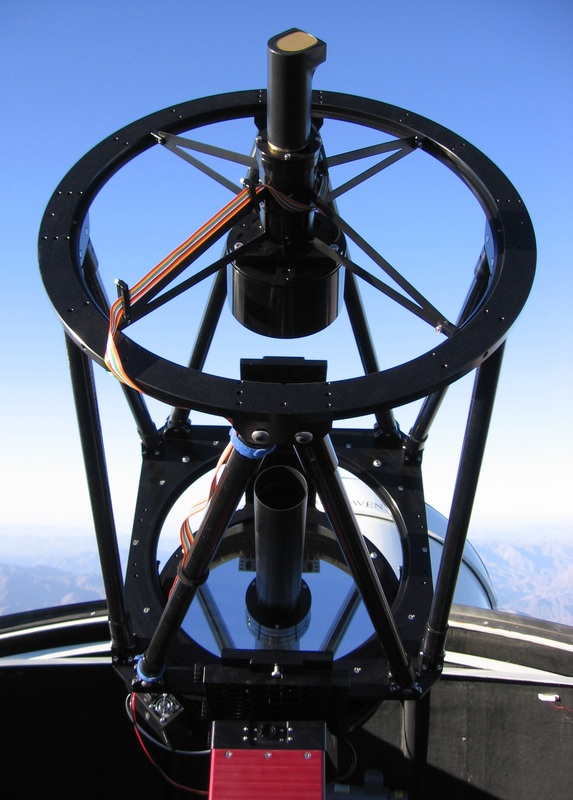 Yes, you are given an account on Skynet and carry out your own observations on our telescopes in the Chilean Andes and around the world, all from your computer or smart phone. 3. Is Skynet easy to use? 4. How much time do I get on the telescopes? You get 30 minutes of exposure time, which you can use as quickly or as slowly as you like. 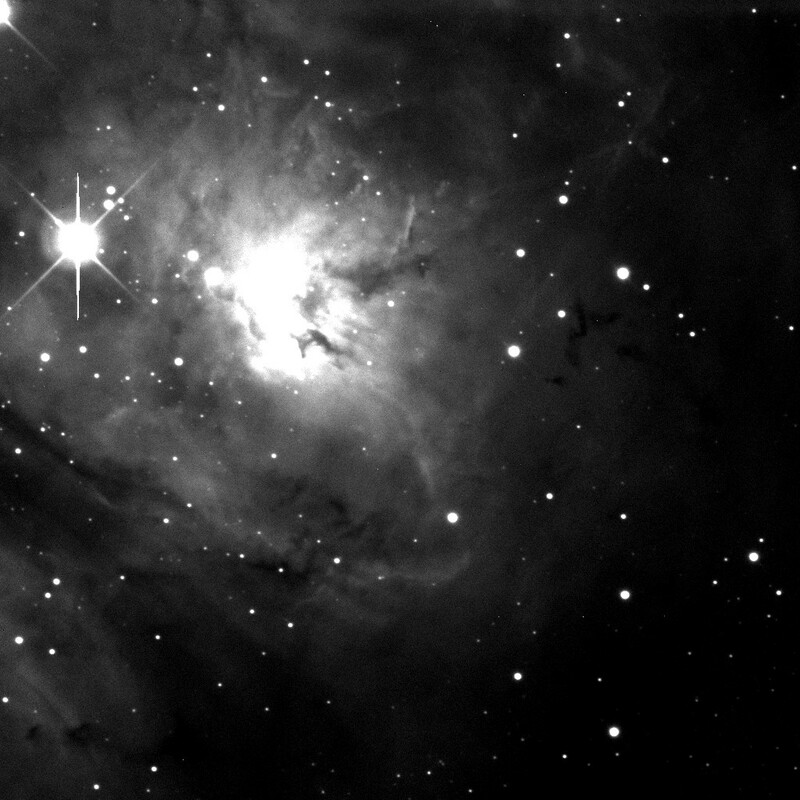 An only 20-second exposure of the Lagoon Nebula, taken by Skynet University student Jon Paul Wakamatsu. Click on it to see it at higher resolution. 30-minutes goes a long way on these telescopes. Observations of planets and moons take less than 1 second. Observations of deep-sky objects vary, but this picture of the Lagoon Nebula, which is 4,000 light-years away, took only 20 seconds. 5. Is this a college-level course? Yes. We offer it at the University of North Carolina and although not required, it is popular — about 20% of all undergraduates sign up for it, non-science and science students alike. It is now offered at other colleges and universities as well. 6. Does it cost as much as a college course? No, not by a long shot! We have whittled the cost down from about $1000 to only $65, the cost of the WebAssign enrollment. More information about this can be found here. 7. Is Skynet University for profit? No! Skynet University is part of the University of North Carolina, which is not for profit. If Skynet University is successful, we will build it into our grant proposals to the National Science Foundation and NASA. Any grant money raised will be used to continue to improve and develop Skynet and its telescopes. 8. Do I receive college credit? No, but you do receive a Certificate of Completion or a Certificate of Mastery, depending on how well you do. 9. How long do I have to complete the course? As long as you like — it is self-paced. 10. How do I enroll? Enrollment instructions can be found here. 11. Who are you guys? The Skynet team totals about 15 people, and you can follow our day to day exploits here and here. However, Skynet University’s courses are taught by two of us, Prof. Reichart and Prof. LaCluyzé, with help from graduate students Nathan Frank and Justin Moore. 12. What courses will you offer next and when will it be ready? Skynet University’s second course, Astronomy 101: The Solar System, and third course, Astronomy 102: Stars, Galaxies, and Cosmology, are now ready and open for enrollment! If you have any other questions, feel free to email introastro at unc dot edu.